The Odisha cabinet on Monday approved the food and procurement policy for the Kharif marketing season 2018-19 with a target to procure 55 lakh tonnes of paddy from farmers. This will be equivalent to 37 lakh tonnes of rice, Chief Secretary A.P. Padhi said. However, there is no bar on the procurement of a higher quantity of paddy if this comes to 'mandis' from registered farmers. The target can be revised if the need arises, he added. 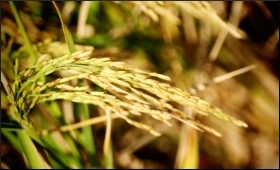 The paddy will be procured between November 2018 and April 2019. Farmers would be paid the Minimum Support Price (MSP) fixed by the union government at Rs 1,750 per quintal for the common variety of paddy and Rs 1,770 the for Grade-A variety. The money would be directly paid into the bank accounts of farmers within three days of the procurement. While 23 lakh tonnes of the procured rice will be pumped into the Public Distribution System, the remaining 14 lakh tonnes will be delivered to the central pool through the Food Corporation of India (FCI). In 2017-18, the state government had procured 49.06 lakh tonnes of paddy in the Kharif and Rabi seasons, said Padhi. The cabinet also approved the guidelines of the new Rs 1,250 crore 'Ama Gaon Ama Bikas' scheme that will be effective from this year. Its major objective is to take up new projects that will contribute to the overall development of community and wellbeing of the people at the Panchayat level. The projects will be approved by the Chief Minister.